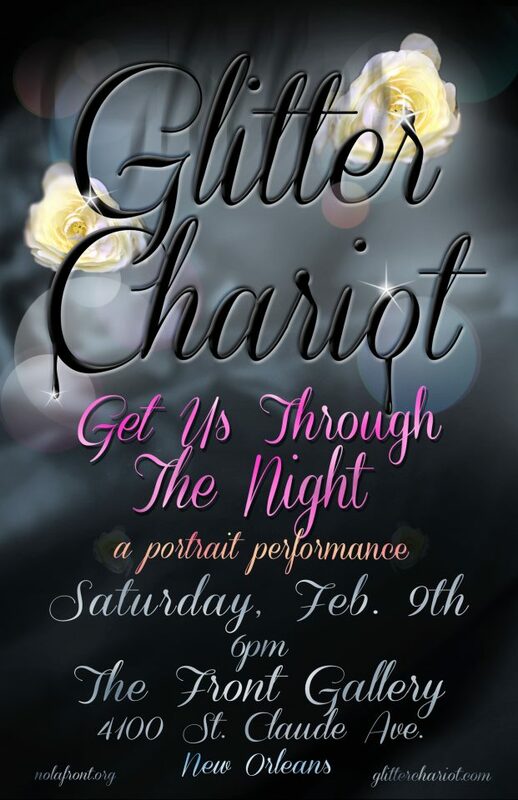 Glitter Chariot performed an intimate performance entitled “Get Us Through the Night, a Portrait Performance” on February 9, 2013. Also on view are new portrait works by Glitter Chariot members Chuck Carbia and Ryan Berg. 4100 St. Claude Ave. New Orleans.